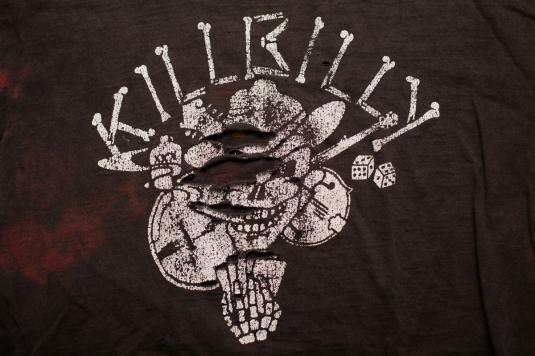 For sale here is a trashed vintage early 90s Killbilly Lose Star Posse t-shirt; made in USA. It is in trashed vintage used condition with tons of wear, staining, fading, holes and tears. This vintage Killbilly Lone Star Posse t-shirt would be an awesome wear for the hard rock or country fan or to display with other music memorabilia!